Ed works with executives both 1:1 and in teams; particularly enjoying working with leaders in international roles taking on new opportunities and broader responsibilities. He aims to create a safe space that allows leaders to wrestle with their challenges, acting as a sparring partner, to find solutions and practical ways forward. After studying engineering at University, Ed started his career at DEC, now part of Hewlett Packard, as an engineer and progressed into client facing roles. Ed worked in end-user account management, distribution channel management and went on to found Integra Business Systems. From writing the initial business plan, raising the finances, sales and marketing, growing and developing a solid team to finally selling his major share holding. Ed moved to Tokyo, where he launched the international arm of IMPACT Japan. This encompassed business development, marketing, client consultation, design and delivery of team, leadership development programs and 1:1 coaching. He grew the business from a start up to becoming 50% of the overall country turnover within 2 years and became the most profitable international office. Ed went on to formally train as a coach in USA with Dr. David Peterson and then lead the coaching practice in Tokyo for Personnel Decisions International, responsible for delivery of 1:1 executive coaching, growing the business and the ongoing development of the coaches in Japan. 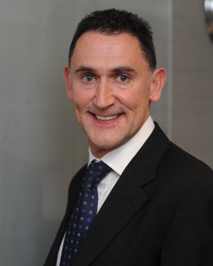 Ed returned to the UK with his Japanese wife and their first child, in 2001 to complete an advanced diploma in executive coaching with the Academy of Executive Coaching and set up an international coaching business. Coaching over 250 executives and their teams in more than 25 countries since 1999, from board level down, across multiple sectors. His clients have described his coaching as engaging, affirming, thought provoking, pragmatic, challenging and solution focused. Born in Liverpool, Ed has dual EU and British citizenship and has lived and worked abroad in Japan and USA for 5 years. He now resides in Wimbledon with his wife and their 3 children. Ed enjoys keeping fit, through daily exercise, swimming, cycle commuting, road cycling most weekends with friends in the Surrey Hills and has completed cycle sportives in Europe such as the Marmotte in the French Alps & the Maratona in the Italian Dolomites.